Wan Zulkiflee: We are in a better position to take advantage of better oil prices. KUALA LUMPUR (Aug 30): Petroliam Nasional Bhd (Petronas), a key contributor to government coffers, will raise its dividend payment to the government by 50% to RM24 billion this year, from RM16 billion in 2017. This follows the oil firm's better performance across the board in the first half of the year, group president and chief executive officer Tan Sri Wan Zulkiflee Wan Ariffin told reporters at the group's first-half 2018 (1HFY18) results briefing today. The figure was also a revision from RM19 billion guided by Petronas' top management earlier this year. "We are in a better position to take advantage of better oil prices," said Wan Zulkiflee. 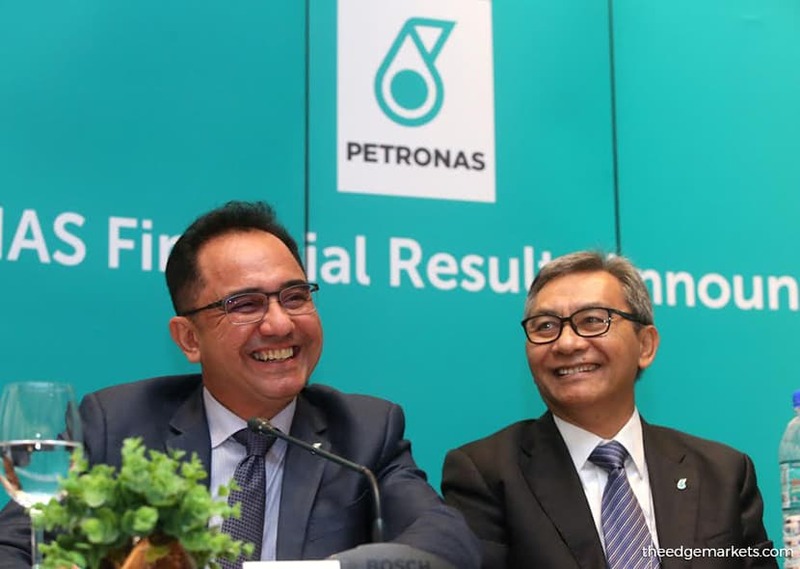 "[Petronas' 1HFY18] results demonstrated the outcome of our continuous business improvements, and improved operational excellence across the group," he added. For the second quarter ended June 30, 2018 (2QFY18), Petronas' net profit more than doubled to RM11.56 billion from RM5.18 billion a year ago. This was on the back of higher revenue, lower costs and impairment write-back against losses the year before, said Wan Zulkiflee. For 1HFY18, Petronas' net profit jumped 71.53% to RM22.96 billion from RM13.39 billion previously. The improved performance, it said, was largely contributed by the upstream segment as well as higher revenue, lower net impairment on assets and well costs, and other expenses — partially offset by higher net product and production costs, coupled with higher tax expenses. "I am pleased to report that this result was achieved while keeping our operational costs stable, at RM400 million less compared with the first half of 2017," said Wan Zulkiflee. Meanwhile, revenue for 1HFY18 rose 8.33% to RM117.16 billion, from RM108.15 billion in 1HFY17, thanks to ongoing internal efforts to optimise efficiency as well as higher average realised prices for all products, and increased production. "This, however, was largely offset by the effect of the strengthening of the ringgit against US dollar exchange rate," said Petronas. In 1HFY18, the ringgit averaged 3.94 against the greenback, strengthening from an average of 4.39 in the same period last year. For 1HFY18, Petronas also spent RM19.8 billion in capital expenditure (capex), down 7% from RM21.3 billion in the same period last year. The utilised capex is less than half of Petronas' annual benchmark of RM50 billion, 66% of which was spent in Malaysia. Wan Zulkiflee said the group is expecting its capex for the whole of 2018 to be at around RM40 billion to RM50 billion. 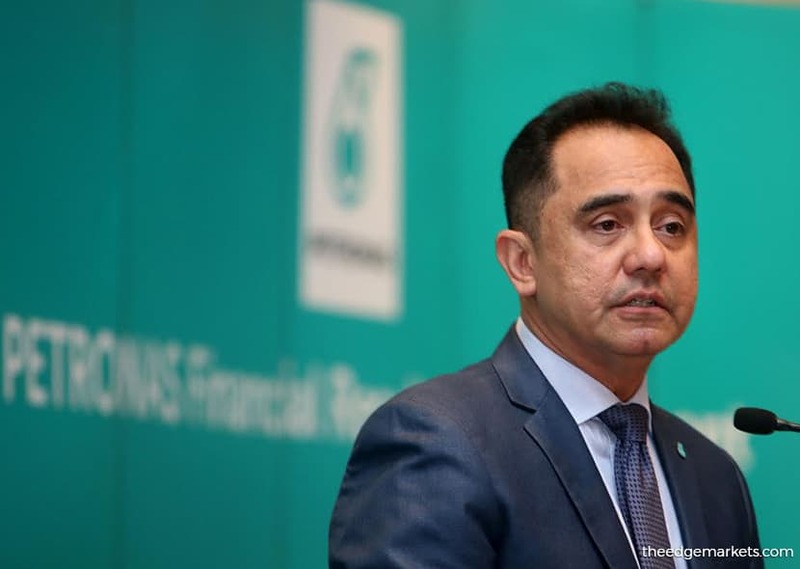 Petronas, he said, is planning its operations with expectation of Brent crude to average at "just below US$73" per barrel for the whole of 2018, but expects it to decline to US$50s-60s next year, similar with its guidance in the 2018-2020 Petronas Activity Outlook. In 1HFY18, Brent crude averaged at US$70.56 per barrel from US$51.80 per barrel a year ago.